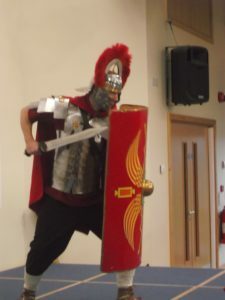 A Roman Centurion paid us a visit talking all about the Roman occupation of Britain. The day kicked off with an in-depth look at his armour and weapons, including some pretty grisly ways in which they were used. 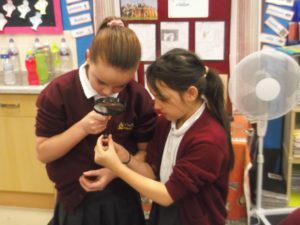 We took on the roles of Romans and Celts examining different battle formations that both sides used. We also had a PE lesson in the form of throwing spears at our enemies. We ended the day with a mock debate with the children pretending to be the different Celtic tribes deciding whether to fight or work/trade with the new imperial presence. 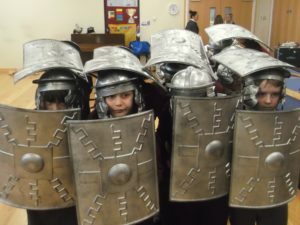 The children loved the day and have come back from the workshop with a much better appreciation of the Roman occupation of Britannia.